Well I am at it again. 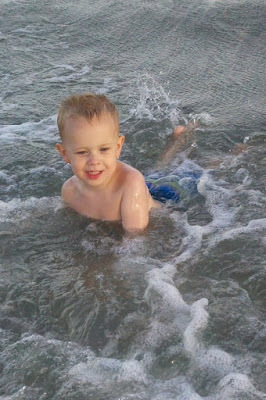 Jessica has taken some great photos of the kids at the beach and I'm going to do a poor job of helping her blogging them. 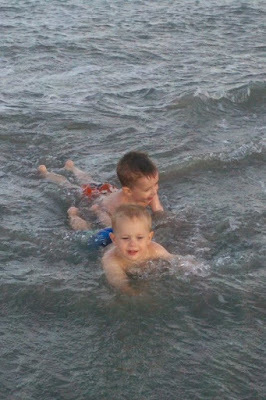 Noah and Griffin loved the water this year. In years past, it has been about playing in the biggest sandbox ever, but this time it was about the waves. They got along so well with each other. One feeding off the other, having the best time of their lives. They progressively go further and further out into the water. 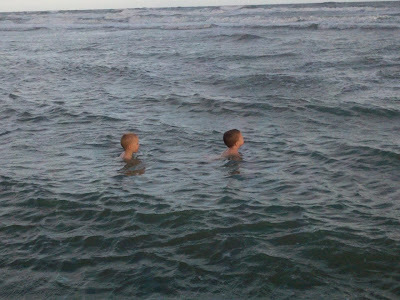 I was surprised at how brave they were, considering I couldn't consider either of them a swimmer yet. The water was perfect and both wanted to be in it all the time. They learned quickly how to manage the incoming waves. 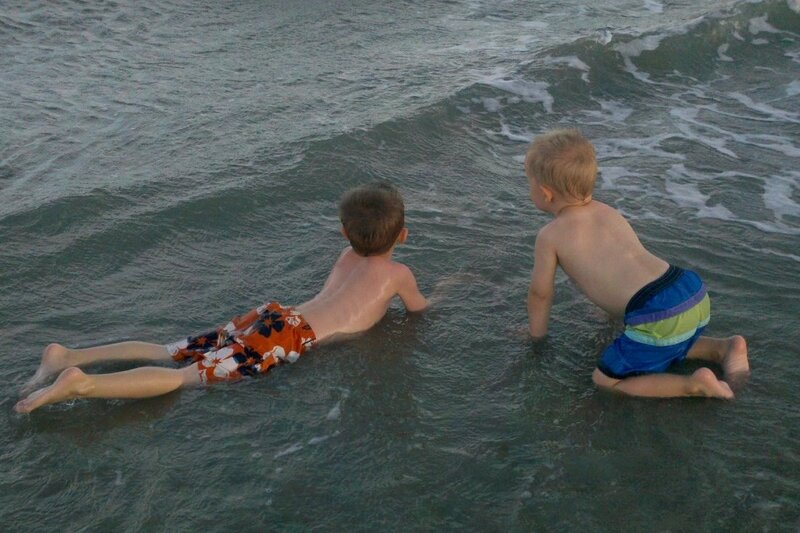 They even pretended they were fighting the waves and would attack them as they came crashing in. We also found many cool things at the beach. We found shells, jellyfish, and crabs. Noah says he got pinched by one while playing in the water. From then on, he was deathly afraid of them. We later encountered a live one which Noah instantly screamed and ran from. Griffin, seeing Noah's distress, promptly stomped the crab saying "don't get my Noah!!" Griffin refers to this as, "I saved Noah from the crab with my water shoes." We couldn't have asked for better kids. Griffin has been in love with miniature golf for awhile now. We bought a day pass and spent a whole day out playing it. Griffin was grinning from ear to ear the whole time. We also enjoyed some time at MagiQuest where the boys waved their wands opening treasure chests and completing quests. This couldn't have been planned better as it was raining outside, but was clear by the time we got back to the beach. 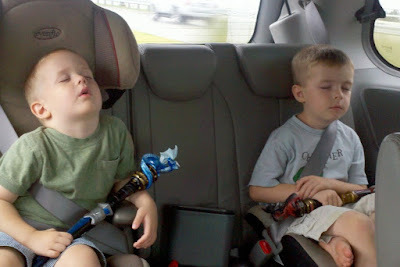 All and all, the boys played hard and crashed every chance they got. We spent very little time sitting around but we also had so much fun.